With Micro Movements, co-creators Aeran Squires and Loam Creative Director Kate want to offer you an immersive opportunity to reflect on your visions and values, cultivate skills that serve everyday activism, and create a space that you can turn toward to feel resourced in the face of climate change. 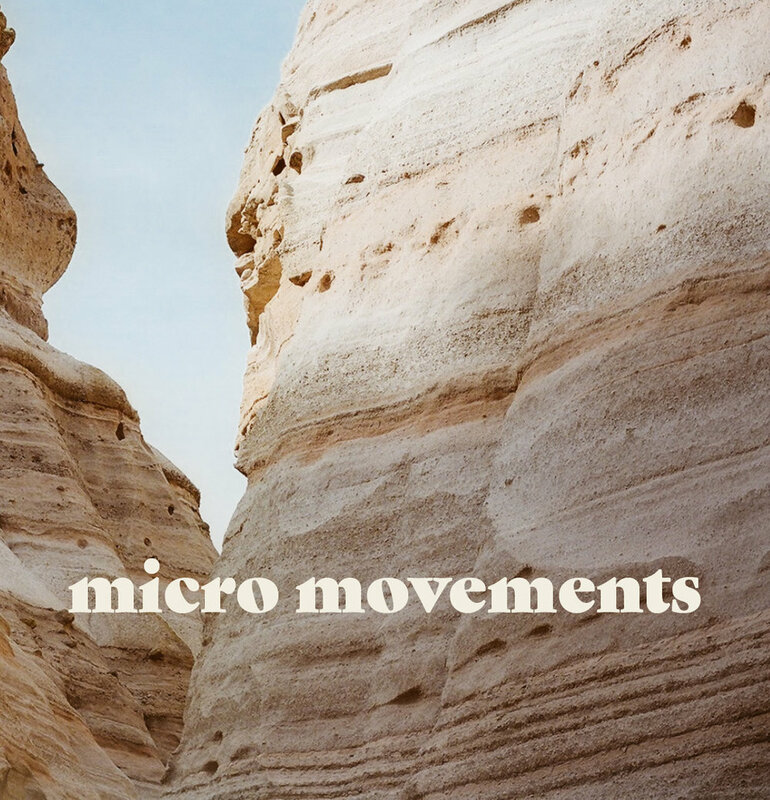 Micro Movements is now live and we are SO excited to share this interactive workbook with you all. P.S. Live in Boulder? Join Loam for a workshop inspired by Micro Movements! During this gathering, we will interweave ceremonial tea practice with tangible exercises found in the pages of Micro Movements to explore the questions: How can we catalyze the power of personal action to cultivate values-based lives? What can we do to reimagine small steps as the fertile ground for ecological and social regeneration? And how can you nurture sustainable activist practices this very day? A personal copy of Micro Movements is included in the cost of this workshop! Co-creaters Jess Drawhorn, Rachel Bare, and Kate Weiner are so excited to share in this space with you all. Link below for details.